In the recent disputes between ASEAN countries and China, the vintage and poor armed Philippines stands-up in spite of china’s bully. The country is in trouble for sourcing enough fund to upgrade their armaments to gain respect from the invading neighbors and were forced to ask help from the Washington and envoked the Mutual Defense Treaty (MDT) which was signed on August 30, 1951. Recently, the Hamilton cutter class was turnover by the USA to the Philippines and gains China’s revulsion and warned the Philippines from building armed in the Spratlys – Philippines Territory. 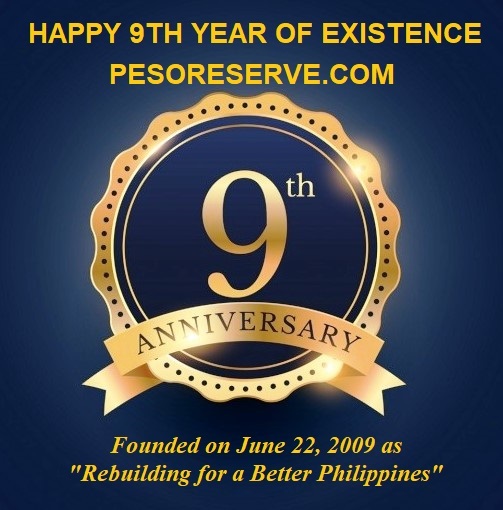 China has already invaded the Palawan province particularly the Panganiban Reef or Mischief Reef which is only 75 miles from Puerto Princesa or a distance from Manila to Laguna Province and erected structure in some part of the Philippine Territory in the Spratly Islands. The Philippine government asked china to respect the sovereign nation and its 200 Nautical Miles Exclusive economic zone but China even claimed through their National Television that they owned the Philippines territory. The current capability of the Philippines could not push them back as china is determined in their expansion plans through series of island chains. The first island chain which includes the Sratlys and the entire West Philippine Sea and the Senkaku Island of Japan. The second island chain that would includes Guam of USA, Palau and the Pacific Ocean. China is equipped with more sophisticated war weapons and most dominant naval power in asia. The Philippines indeed is the only rusting bolt that hinder china from controlling all over Asia. 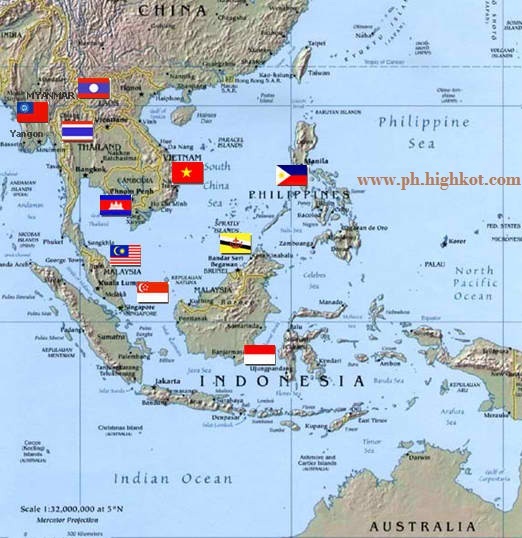 Without the Philippines; China could already control all over spratlys and ASEAN countries. The Philippines' role in balancing Asia is very important as it serves as the remaining shields and close gateway that hinder the china's power to control all ASEAN countries which needs to be strengthen to stand against china’s invasion in the region and the protect the 10 ASEAN countries. A key official of the Heritage Foundation, a Washington D.C.-based think tank, exhorted the United States’ policymakers to “help provide the Philippines the military wherewithal to withstand Peoples’ Republic of China's pressure." Walter Lohman, director of the Asian Studies Center of the Heritage Foundation, said in a “WebMemo" that the U.S. “may very well find itself in a position where it cares more about the security of the Philippines" than the Association of Southeast Asian Nations (ASEAN). The policy commentary comes less than three weeks after the U.S. Coast Guard turned over a Hamilton class warship to the Philippines. The Philippines bought the 115-meter cutter for about ₱450 million with funds from the Malampaya natural gas project royalties. Lohman acknowledged ASEAN as “the most logical, neutral forum for regional diplomacy," but he also criticized it as a multilateral grouping that “consistently wins on engagement and loses on substance." “That is not a formula can trust with its interests," according to Lohman. Lohman urged U.S. officials to pursue “more direct avenues… which prudent use of ASEAN Forums can supplement." “America’s principal interest in the South China Sea is freedom of navigation, and its most effective instrument in this regard is the U.S. Navy," Lohman stressed. He said ASEAN has “deeply ambivalent" stance about China’s ascendance as a regional power and affects the regional group’s effectiveness in addressing conflicting territorial disputes in the South China Sea. Lohman also disparaged the ASEAN’s Bali agreement, forged only last July, as a set of confidence-building measures that produced only “meager results" and conceded to China’s approach to “vociferously" reject multilateral solutions. “All the 2002 [Declaration on the Conduct of Parties in the South China Sea] agreement did was provide the opportunity to set aside ASEAN’s disagreements with China for the cause of broader, lucrative economic engagement. The July 2011 Bali guidelines simply kick the can down the road again. And for this, ASEAN Secretary General Surin Pitsuwan called it an “historic" achievement," Lohman opined. He also noted that effectiveness of ASEAN is also affected by the fact that its chairmanship is rotated “through a number of cautious and/or China-deferential countries, such as Cambodia, Brunei, Burma and Laos." The Heritage Foundation official advised America to “keep its alliance network front and center" and urged U.S. officials to “look for ways to expand bilateral strategic partnerships, with Vietnam and India in particular."